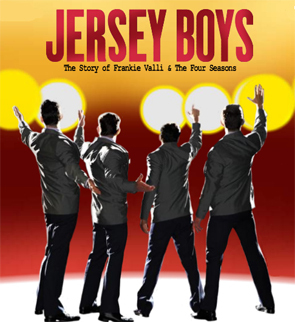 JERSEY BOYS – The Story of Frankie Valli & The Four Seasons won the Sydney Theatre Award for Best Musical. In addition Bobby Fox, who plays Frankie Valli, won Best Actor in a Musical. “The Sydney Theatre Award for Best Musical to JERSEY BOYS acknowledges the wonderful collaboration between everyone associated with the production across the entire range of disciplines and the artistic excellence that makes JERSEY BOYS so special for audiences and for all of us associated with this wonderful production. The entire company of JERSEY BOYS is thrilled that Bobby Fox has been recognised by Sydney’s premier critics for his extraordinary performance of Frankie Valli” – Rodney Rigby, Newtheatricals, Producer of JERSEY BOYS – The Story of Frankie Valli & The Four Seasons. Jersey Boys is already the recipient of two Helpmann Awards being Best Musical and Best Music Direction of a Musical, four Tony Awards® including Best Musical, winner of the Olivier Award for Best New Musical, and winner of seven Victorian Green Room Awards. 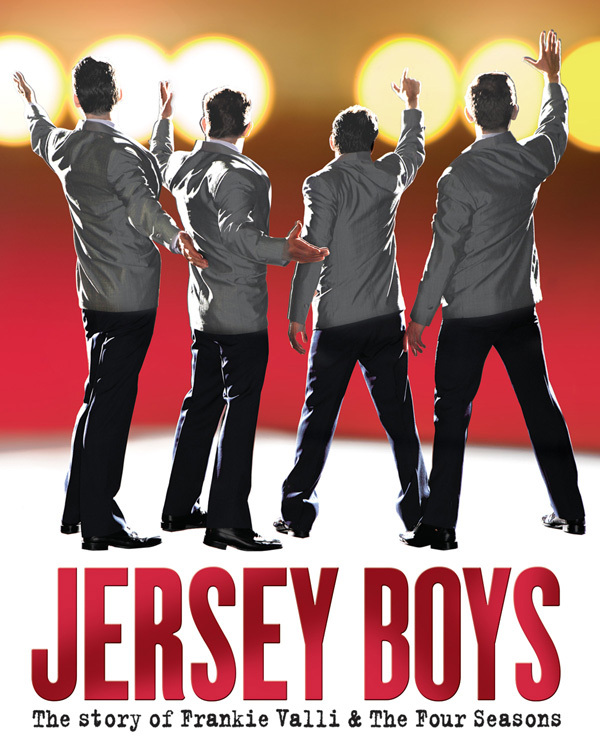 After 4½ sell-out months in Sydney, and 14 months in Melbourne seen by nearly 600,000 patrons and playing 453 sold out performances, JERSEY BOYS – The Story of Frankie Valli & The Four Seasons continues to play to huge acclaim and standing ovations. The Four Seasons, Frankie Valli, Bob Gaudio, Tommy DeVito and Nick Massi wrote their own songs, invented their own sounds and sold 175 million records worldwide – all before they were thirty. JERSEY BOYS features all their hits including Sherry, Big Girls Don’t Cry, Oh What A Night, Walk Like A Man, Can’t Take My Eyes Off You, Working My Way Back To You and many more. JERSEY BOYS, the Tony, Grammy and Olivier Award-winning hit musical, returned to Boston and received rave reviews once again at the Colonial Theatre, where it opened Friday, December 17 (performances began Thursday, December 16) and will play through Sunday, January 30, 2011. From Boston, JERSEY BOYS will play Baltimore’s Hippodrome Wednesday, February 2 through Sunday, February 27. The cast of JERSEY BOYS is lead by Matt Bailey (Tommy DeVito), Joseph Leo Bwarie (Frankie Valli), original Broadway cast member Steve Gouveia (Nick Massi), Quinn VanAntwerp (Bob Gaudio), with Jonathan Hadley and Joseph Siravo. The ensemble of JERSEY BOYS includes Candi Boyd, Jared Bradshaw, Christopher DeAngelis, John Michael Dias, John Edwards, Alayna Gallo, John Gardiner, Buck Hujabre, Denise Payne, Brian Silverman, Courter Simmons, Ryan Strand, Kara Tremel, Mark Verdino and Kevin Worley. JERSEY BOYS is the winner of the 2006 Best Musical Tony Award®, the 2006 Grammy Award for Best Musical Show Album, the 2009 Olivier Award for Best New Musical and the 2010 Helpmann Award for Best Musical (Australia). JERSEY BOYS opened at the August Wilson Theatre on Broadway to critical acclaim on November 6, 2005 and is currently celebrating 5 glorious years on Broadway and is the longest running show in the history of the August Wilson Theatre. The JERSEY BOYS National Tour, now celebrating its 4th Anniversary, opened to rave reviews in San Francisco on December 1, 2006, played a record-breaking run in Los Angeles and is still breaking house records in cities across North America. JERSEY BOYS is currently playing in New York, London, Las Vegas, in cities across the country in a US National tour, and in Sydney, Australia. The Philadelphia engagement of the Tony, Grammy and Olivier Award-winning musical JERSEY BOYS broke the box office record at the Forrest Theatre for the eighth time, grossing $1,514,718 for the week ending December 12, its final week in Philly. This tops the previous record of $1,486,620, which they set the week ending December 5. Today, December 10, marks the 4th Anniversary of the Tony, Grammy and Olivier Award-winning musical JERSEY BOYS national tour. The JERSEY BOYS National Tour opened at the Curran Theatre in San Francisco and has gone on to play 38 cities since then. JERSEY BOYS is currently playing at the Forrest Theatre in Philadelphia, where it has broken the box office record 7 times. JERSEY BOYS won the San Francisco Bay Theater Critics Circle Award for Best Touring Production, and the Mayor’s Office of San Francisco proclaimed Monday, September 24, 2007 as JERSEY BOYS DAY in San Francisco in honor of the good works and the cultural life that JERSEY BOYS brought to San Francisco. JERSEY BOYS was the top fundraiser of the 2010 Broadway Cares/Equity Fights AIDS “Gypsy of the Year” competition, raising $285,398.00, more than any other show on or off Broadway, or on the road. In its 4 years on the road, JERSEY BOYS has been setting new box office records in cities across North America. JERSEY BOYS opened at the August Wilson Theatre on Broadway to critical acclaim on November 6, 2005, is currently celebrating 5 glorious years on Broadway and is the longest running show in the history of the August Wilson Theatre. JERSEY BOYS is currently playing in New York, London, Las Vegas, in cities across the country in a US National tour, and in Sydney, Australia. The Philadelphia engagement of the Tony, Grammy and Olivier Award-winning musical JERSEY BOYS broke the box office record at the Forrest Theatre for the seventh time, grossing $1,486,620 for the week ending December 5. This tops the previous record of $1,451,273, which they set the week ending November 28.